fifty plus years, but there is so much more we can do. Yearly campaigns raise thousands of dollars. Here is what we’re focused on for 2018. In the last year, our donors helped us accomplish many wonderful goals as we continue to advance our mission to serve our residents. We have been able to purchase a new resident transportation van and have upgraded our Music and Memory program with better listening devices. We have many more ambitious objectives for new projects in 2018. As a private, non-profit corporation, the generosity of private donors plays a crucial role at St. John’s. 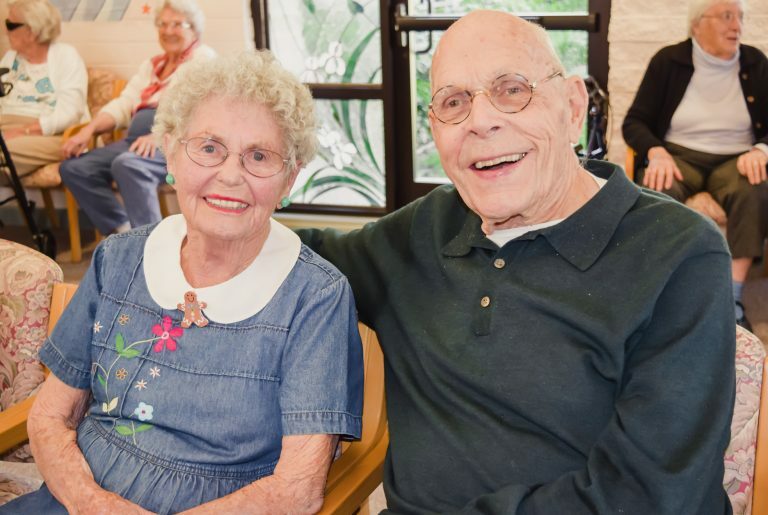 Each and every donation we receive helps advance our mission to honor, respect and serve our residents’ needs, enhance their opportunities for independence and health, as well as continue to expand our campaigns and community outreach services. We have two easy ways to make a donation, the one-time online donation and our new Heritage Club monthly program. On May 3, 2018, our community will come together to continue the tradition we established years ago…for one 24-hour stretch, we will participate with hundreds of nonprofits that strengthen our region every day. This year, St. John’s will again partner with Big Day of Giving. We have an ambitious goal of $12,500 this year, please log in and donate for St. John’s on May 3. Every dollar will be used to enhance personal independence, social engagement, and physical wellness of our residents. 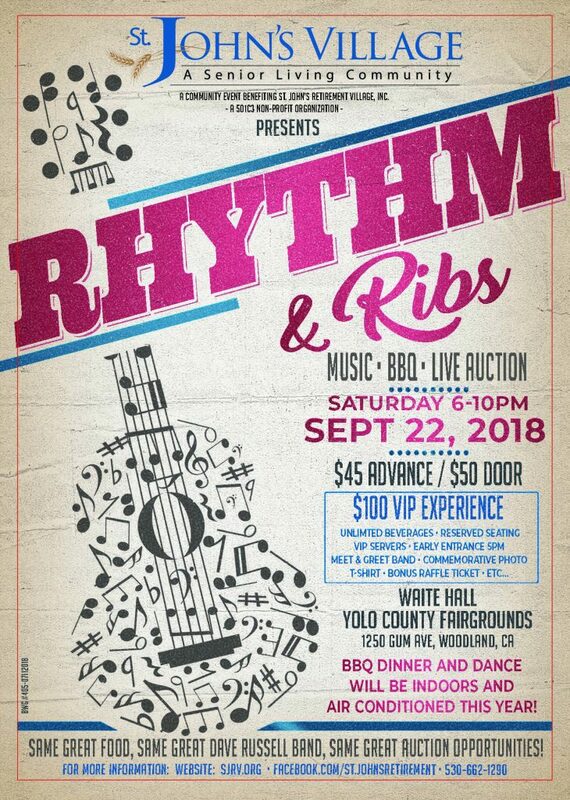 Our popular community-wide BBQ and fundraising event will move to the Yolo County Fairgrounds on Saturday, September 22. Call 530-662-1290 to make your tickets. Please mark your calendars, as this is our largest fundraiser of the year. 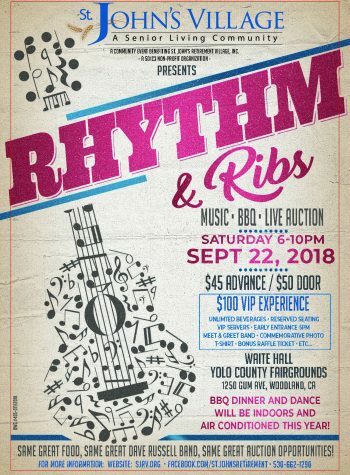 With the Dave Russell Band playing the music, RDM Audio Visual providing the sound, and Keith McLane Auctioneers confirmed for our live auction, the 2018 Rhythm & Ribs promises to be the biggest and best ever. Our annual Holiday season campaign gives us the opportunity to take pause and honor our loved ones who are no longer part of our gatherings. 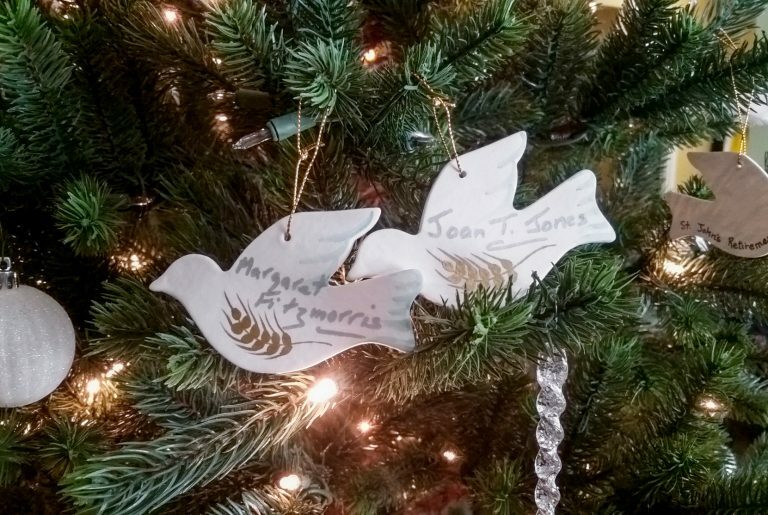 The Christmas tree in our lobby is decorated with beautiful dove ornaments, each one dedicated to the memory of someone who is no longer with us. Promoting physical and social engagement continues with our new two-phase plan to provide our residents, as well as their families and friends more opportunities to enjoy the outdoors together. Boredom and loneliness are two of the principal emotional enemies of seniors. 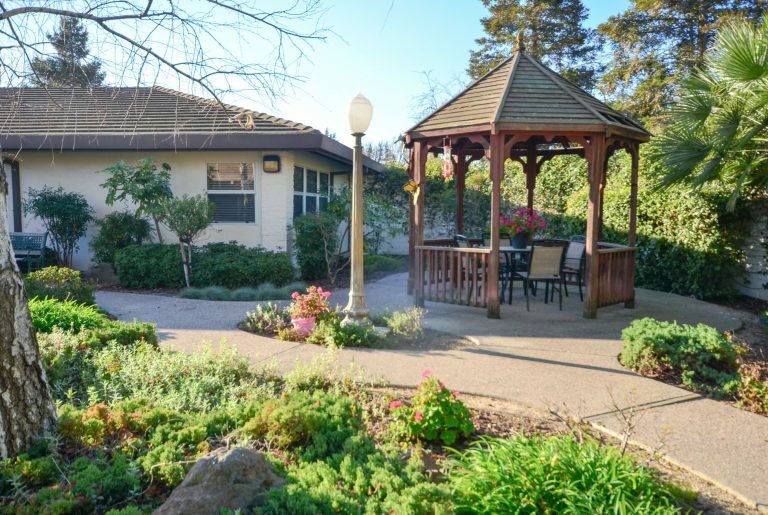 We believe no resident at St. John’s should ever be lonely or bored. Phase 1: Work is underway for our outdoor exercise and putting green/bocce ball area. Being outside and socializing together has many positive benefits for everyone. This first phase of the project provides even more opportunities for both. With putting contests, community events and more planned for 2018, we envision a healthy spirit of community and camaraderie at St. John’s. Your donation today can help make this a reality. Phase 2: The design and construction of a large, open-air pavilion in the green lawn area by our PCU building. 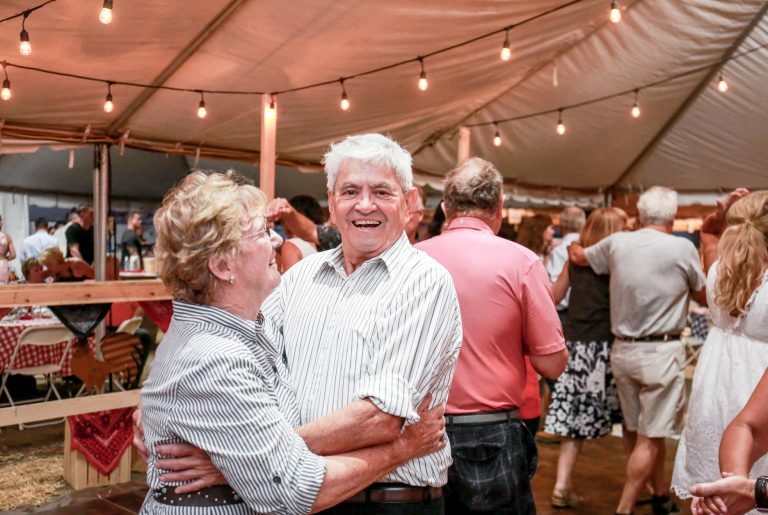 Estimated between 600 and 750 square feet, it will provide ample room for upwards of 30 people to enjoy a variety of activities and programs together. 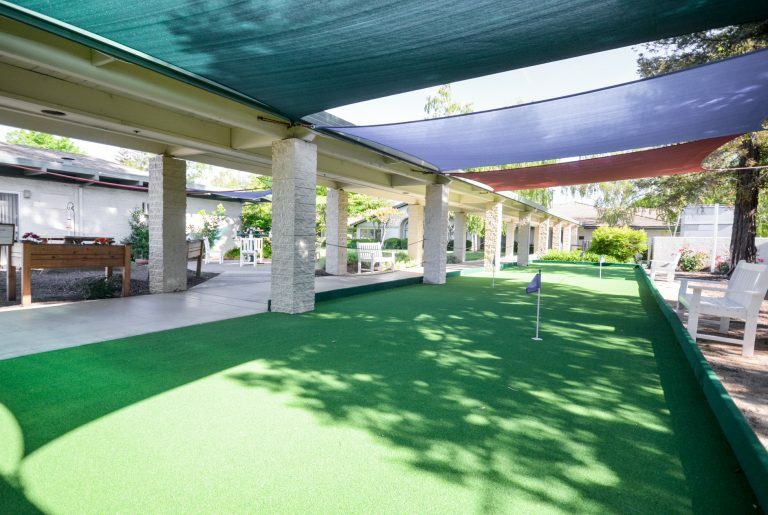 New walkways will meander to the pavilion where our residents can relax, read, socialize, or entertain with their families. We anticipate this to become a new hub of outdoor social activity on campus. Campus comfort: Continuous campus improvements are always underway. 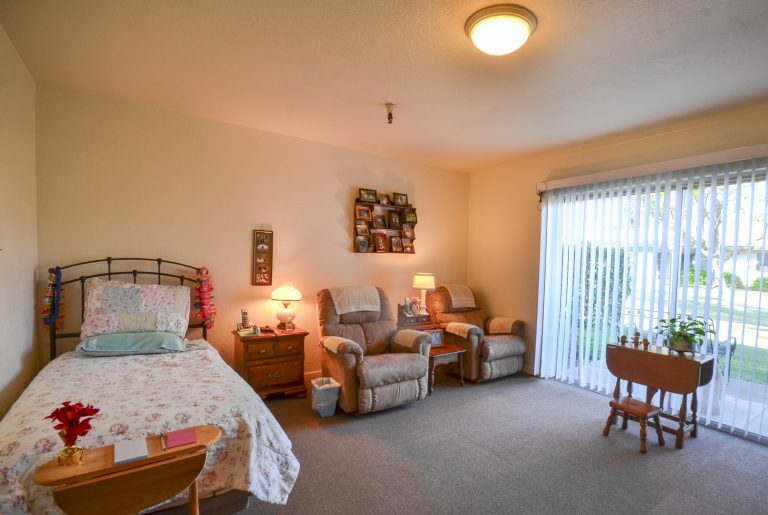 We are always seeking ways to enhance the enjoyment and independence of daily life for our residents. 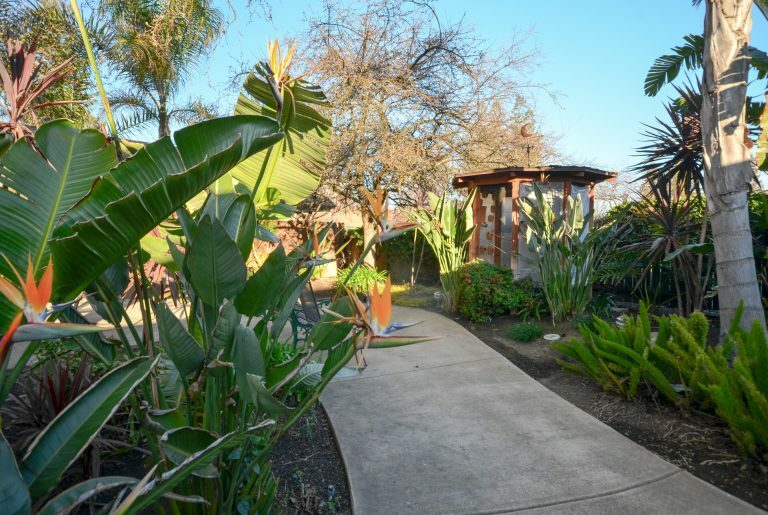 Projects such as energy efficient comfort systems and water-wise landscaping improvements are being considered.